Xenics, Europe's leading developer and manufacturer of advanced infrared detectors, cameras and customized imaging solutions from the LWIR to the visible realm, comes to SPIE DCS 2016 with a host of new developments, among them the first performance results of a family of high-resolution SWIR line-scan arrays that work up to 400 KHz of line rate. These arrays serve space applications that require high resolution line-scan arrays as well as medical (3D SD-OCT) and industrial applications that require high line rates. Xenics will exhibit in Booth 523 at the Baltimore Convention Center. 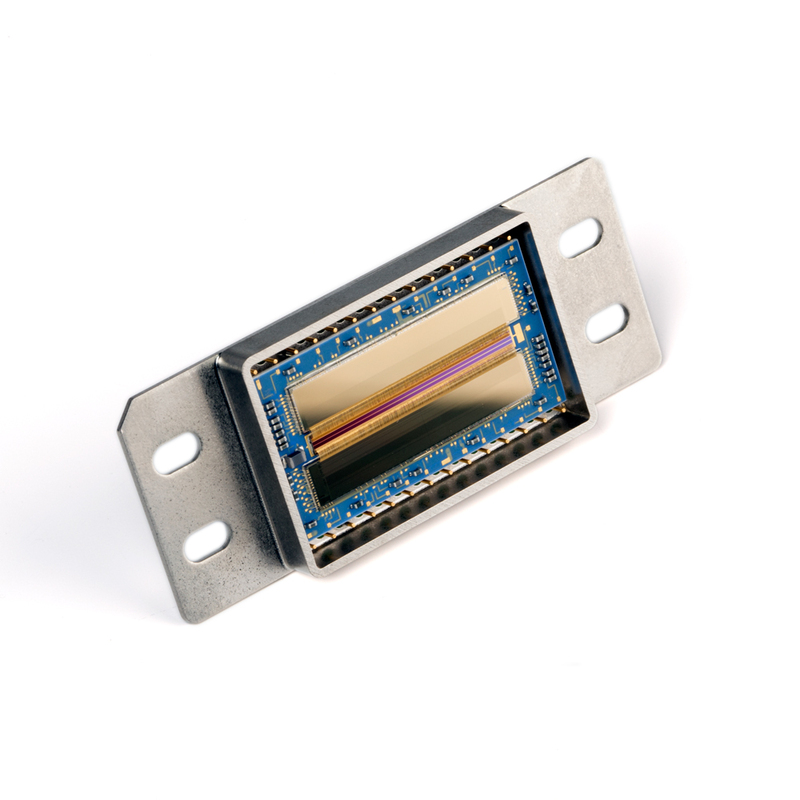 Xenics has built a strong position in the field of SWIR image sensors for multi-spectral remote sensing missions. These sensors are used in conjunction with visible and NIR sensors for vegetation and thermal balance studies and provide valuable information about the presence of clouds and to determine remote sensing indices. For space applications there is a high interest in high resolution, low noise, room temperature SWIR arrays. For a new European space program, Xenics is responsible for the design, manufacture and test of a modular, low-noise, high-speed InGaAs line-scan FPA with 512 to 2048 pixels and its associated camera. The arrays are based on a modular ROIC design concept: modules of 512 pixels are stitched during fabrication to achieve 512, 1024 and 2048 pixel arrays. Each 512-pixel module has its own on-chip digital sequencer, analog readout chain and 4 output buffers. This modular concept enables a high resolution array to run at high line rates irrespective of the array length, which limits the line rate in a traditional line-scan array. Besides of space remote sensing applications, the line-scan FPA and its associated camera, with its fast line read time, can be used in a variety of terrestrial applications: OCT and confocal microscopy, food and waste sorting, machine vision and process control.